Vivo Technology Company is almost clocking a decade of manufacturing consumer electronic goods ranging from smartphones and its accessories to software and online services. This September, the Chinese tech firm unveiled its Vivo V11i flagship alongside the standard version, Vivo V11, in the Philippines. Vivo V11i has mid-range features meant to target the mid-scale mobile market. When it comes down to features, the brand new Vivo V11i comes with a sizeable 6.30″ Full HD+ display with a resolution of 2280×1080 pixels, which makes it for heavy media consumers and gamers. Like most Chinese companies who source chips from overseas telecommunications firms, Vivo incorporated the Taiwanese MediaTek Helio P60 2.0GHz octa-core processor to drive the software operations of the V11i smartphone. The design sports 155.97×75.63×8.10mm dimension configurations and the phone is relatively light, 163 grams. Vivo V11i is not left behind in matters related to popular features; it has a waterdrop notch at the top front part of the phone. The tiny notch is part of the minimalistic design strategy to achieve an edge-to-edge display. The other fine feature is an in-display Fingerprint Sensor which is super fast and keeps your files under high-vault security. The rear part of the phone packs a dual vertical camera, which is the main camera of the phone and is split into 16-megapixel and 5-megapixel sensors. We are yet to confirm the camera performance in low light conditions and stuff. The front selfie camera housed in the notch is 25-megapixels in size and has a beautifier for selfies. Pricewise, Vivo V11i is the real definition of price for the quality. You will get the brand new V11i at about 288 US dollars. The connectivities are Bluetooth, 4G, 3G, GPS, USB OTG, and WiFi. 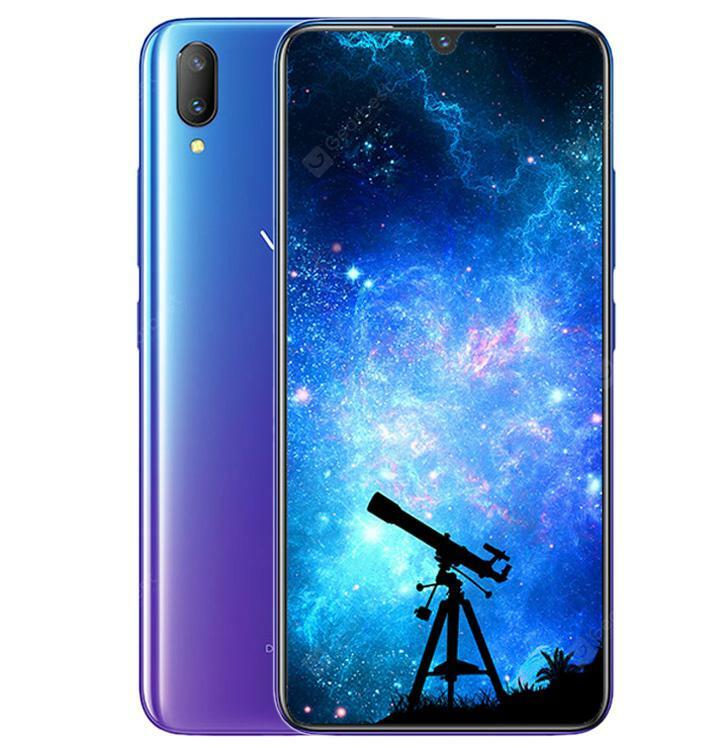 The smartphone comes in Starry Night and Nebula colors.